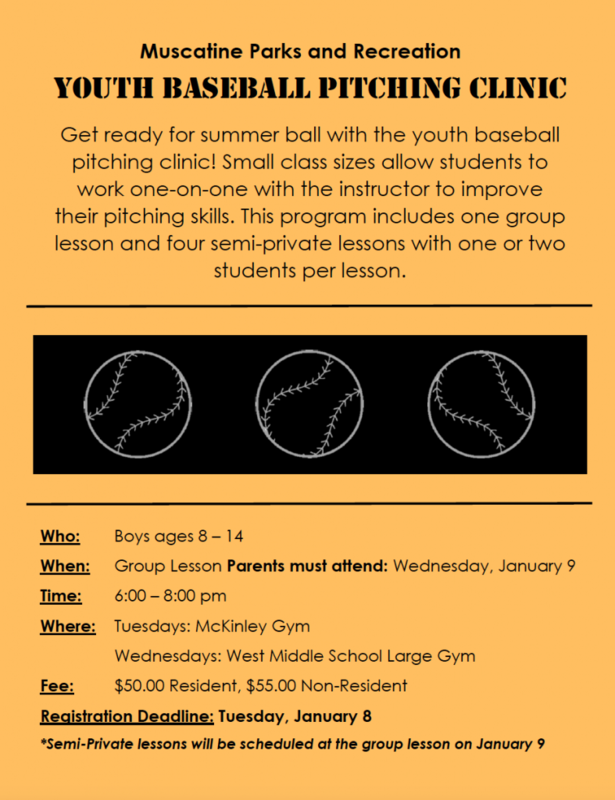 The Muscatine Parks and Recreation Department is offering a youth baseball pitching clinic this winter. Small class sizes allow students to work one-on-one with the instructor to improve their pitching skills. This program includes one group lesson and four semi-private lessons with one or two students per lesson.